Nora and Vanessa hung out at The Red Velvet Room with Leigh and her sister Gillian. The special seeds that Muriel had planted for Sonia finally bore life fruit. Now Sonia just had to find a pink diamond. After spending several days checking the spawn spots by the amphitheater and the diner with no luck, I decided to bring in the miner and start drilling holes all over town. She found her pink diamond and was at last able to create a simbot! 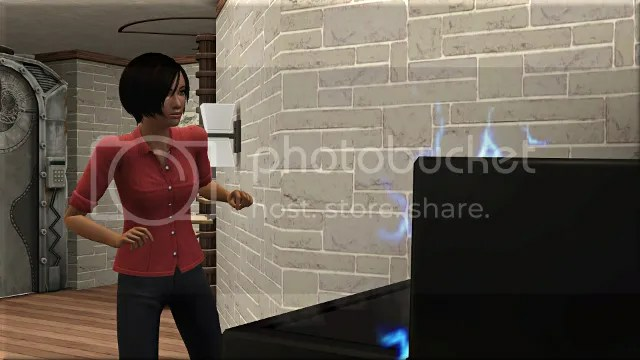 Because I had too many sims in the household, Sonia’s new creation got automatically kicked out, and I had to use Master Controller to add her back in. The game gave her the name Rene, and she is brave, good, handy, hydrophobic, and, weirdly, technophobic. Because of that last trait, she kept on breaking the families’ electronics, and then, because she’s a simbot, crying about it. 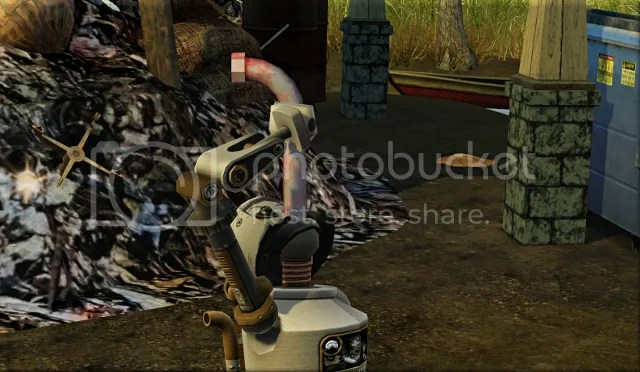 I find simbots so adorable! Rene made friends with Calvinotep. Perhaps they can be roomies when we move to Bridgeport. I sent Rene to the junkyard to get some scrap to eat. Back at the legacy house, Nora had been spending a lot of time practicing on her guitar. I like to have her perform individual songs rather than just selecting the generic ‘practice’ option, because the former raises the ‘number of times performed’ count. The higher that number, the larger tips she’ll get. 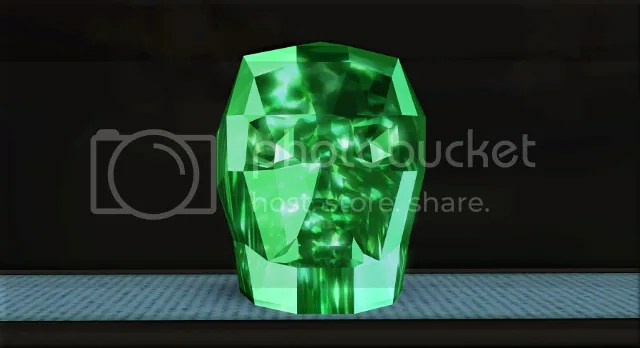 Sonia had collected so many gems in her search for a pink diamond, that I was able to use the display stand to create a skull cut emerald. This is a World Adventures feature, but I only just found about it so thought I’d include it here. I had Rene join the firefighter profession, but wasn’t able to get her to go to work. Each morning, the countdown until her work time would reset back to ‘1 day’. A helpful friend suggested I replace the fire station with a fresh copy from the library, which fixed the problem. 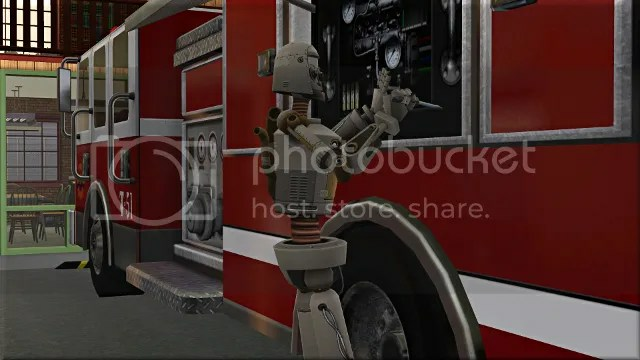 Things were looking up until I came across another bug: every few hours, the maintenance performed upon the engine and alarm would reset back to 0%, which meant that, because the fire engine was not fit to drive, Rene was unable to respond to emergencies. I had her run back and forth constantly maintaining them both for a couple of days before giving up. She spent the remainder of her working week bouncing on the trampoline instead. Wheeeeeeeeeeeeeeeeeeeeeeeeee! 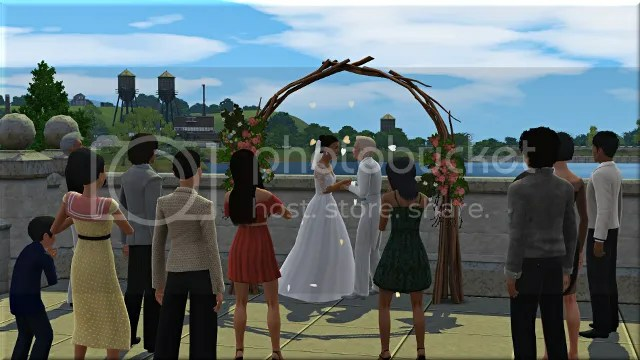 Muriel and Jamison had both been sitting on wishes to get married for a while, and a wedding seemed like a nice way to say goodbye to Twinbrook. The couple said their vows at the Esplanade, overlooking the river. I hope you don’t mind that this was a slightly shorter generation; I think I’ve made my opinion of the Ambitions professions clear! 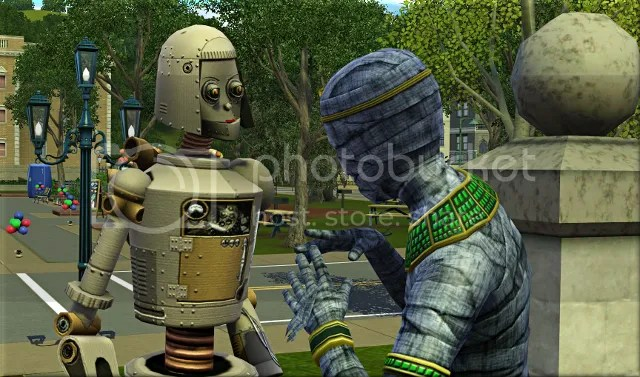 Still, sculpting was as fun as always, the consignment store was a fantastic discovery, and I was pleased to be able to add a simbot to the extended family, as they are one of my favourite life states. Next time, we’ll be joining Nora, Vanessa, Emmanuel as they explore some of Late Night’s features. Happy Simming until then! The wedding pictures are lovely. Sad that this generation was so short but totally understandable given your feelings towards this expansion. Looking forward to seeing your late night game play. 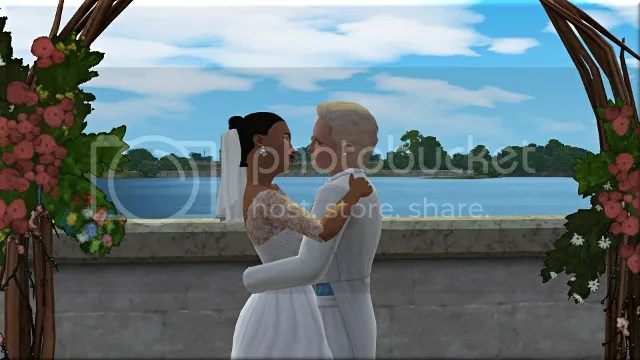 That was the first sims 3 expansion that I really liked a lot. Thanks for understanding! Yes, I am very much looking forward to the next generation. I came to TS3 a little late, and LN was actually the first EP I bought on release. I really enjoy it, and I think it will be fun to take photos of its very social-orientated gameplay. I have already started building the Bridgeport family home, and I’ve found a nice little spot across the street for your consignment store! 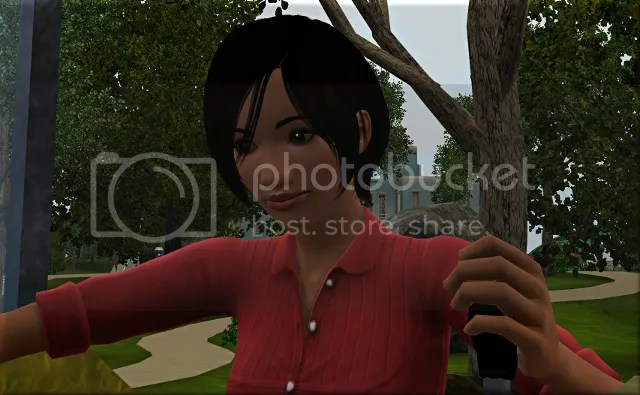 Did you not care for WA and Ambitions much then, or did it just take you a while to warm up to TS3 as a whole? 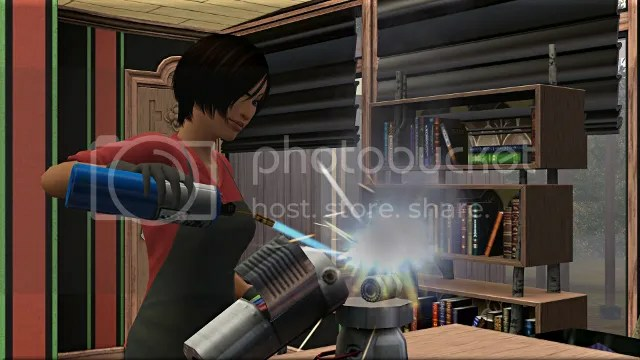 I liked world adventures and and ambitions but they didn’t wow me like the sims 2 expansions did. I like them a lot more now with other expansions enhancing their game play like turning the base camps into more hotel like destinations. That doesn’t mean I didn’t like them though, The active careers can be fun at times as they were unique at the time and WA’s destinations are beautiful, especially Egypt. Think for me LN really just added a lot more everyday things to do. While I am not always going to travel and explore tombs or get a job as a stylist my sim will likely head out to the bars and clubs on a regular basis. Plus it added one of my preferred occult races and some nice clothes. Ooh I am looking forward to seeing the home you are building. That makes sense. 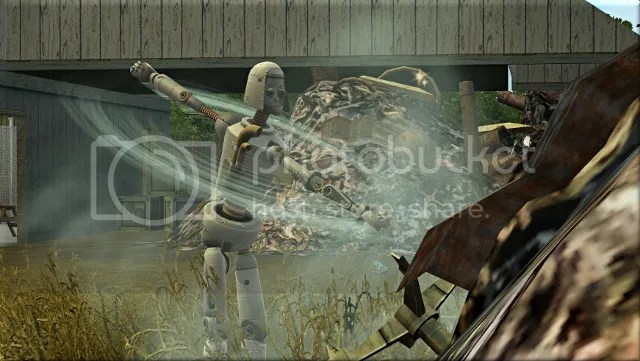 TS2 EPs were always such game changers, and seemed packed full of content! I remember enjoying the University one especially. That makes sense about getting more use out of LN because of the way it blends into the background. I like how things like NPC parties (even if those can be a bit rubbish!) and mixology can just slot into most families’ daily activities, without totally defining their lives. Thank you! I still have lots of decorating to do, but I’ve finished the most complicated part – figuring out how the high rise shells work! Since the mailbox etc. are now available in buydebug, I’ve been able to build it from scratch rather than modifying an existing lot. I assumed that with the right cheats you could just go ahead and build five floors inside them, but they all actually have the areas you can build marked out; if you go too high or wide, you pass the area where the shell ends and it looks stupid from the outside. I really wanted to use the shell with the balcony area, but the available space to build was just way too small. I’ve finally found one I like, with 3 floors (4 including the lobby, which I hope the turn into a daycare when it’s time for Generations), and lovely floor-to-ceiling windows. 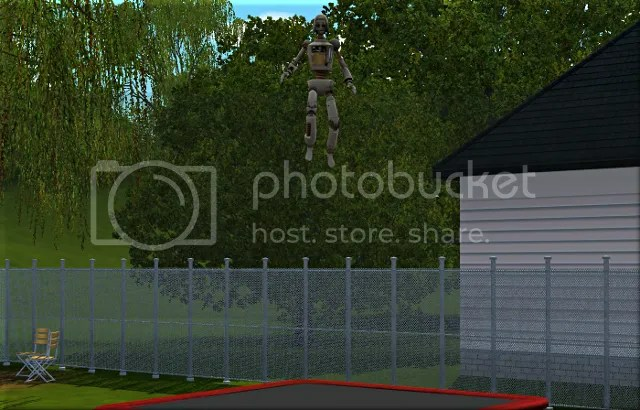 SImbots are lots of fun! I don’t know why but I just always feel really affectionate towards them. They stride around like John Wayne and have cute little electronic burbling voices. The way they eat scraps always cracks me up as well. Unfortunately I think they might be useless with weather turned on, as I imagine they’d just short out in the rain all the time. Maybe if you gave them an umbrella it would be okay? I’m looking forward to Late Night too! It seems to be quite a popular EP. What do you enjoy most about it do you think? I use mixology quite a bit, and all my towns have clubs, but it’s been ages since I played through everything else (celebrities, bands, the film career) in a focused way, so I’m excited about that. I gave everyone their new LN outfits yesterday, and I’m eager to show you all! I did use the Late Night EP when it first came out but I lost everything because I didn’t have a backup drive and my computer died! That was a while ago and I’ve never gone back but maybe I will one day. 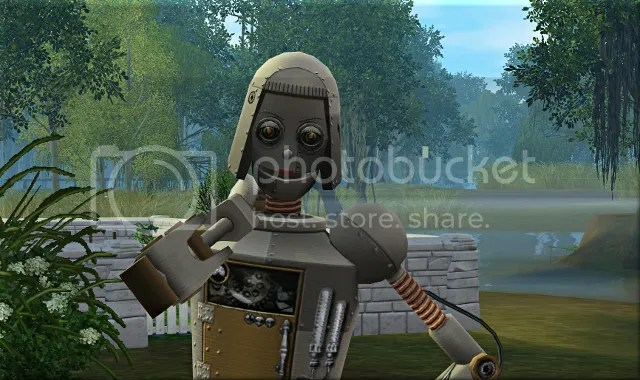 Have been thinking about a simbot as well. I’m working on the “band” right now and my Sim has already mastered the painting and guitar. She’s working on completing all the other instruments as well and is painting some nice pictures. However, I’m having issues with finding more band members. I go to the SimFests and every time I try to make friends with one of the singers they are always tired from performing and leave. Oh well, this has been fun because for the first time ever I’ve been able to stop myself from having multiple Sims to control in game. Never thought I’d enjoy it. You gave me a good idea about moving her to Bridgeport since there are so many more venues there for her to perform in. Thanks for continuing to share your stories, I’m enjoying them so much! Can hardly wait to see the LN outfits!!! 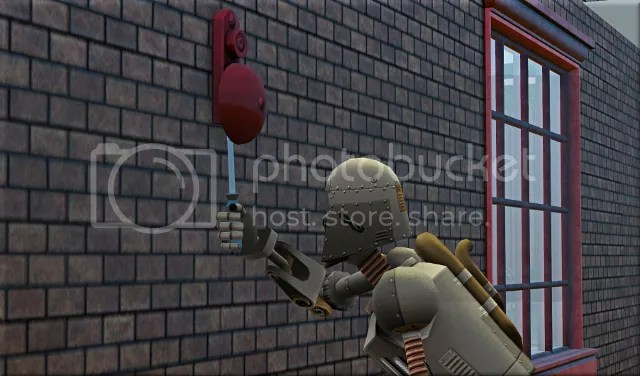 Oh no, I’m sorry that happened to you! I try to remember to back everything up on google drive, but I’m a bit lazy about doing it as regularly as I should. It sounds like you’re having lots of fun with your game 🙂 I hope you find the additional members for your band. 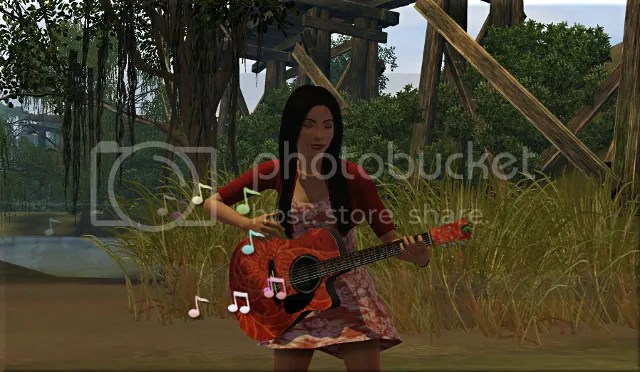 I just wanted to check that you know bands can’t have singers – though of course someone who works as a singer could always play an instrument in your band, like any other sim. I hope you enjoy your time in Bridgeport. I’ll see you there! It’s lovely that Muriel and Jamison have got married – he looks so much like Kristjana! it’s nice to have links back to the original Legacy founders like that. They make a a really cute couple, it’ll be good to see how Lino looks as he ages up, I bet he’ll be really striking with his dad’s white-blonde hair and his mum’s dark eyes. Even though this has been a shorter generation, you’ve managed to pack in all the major highlights of Ambitions really well, and I’m certainly excited to use the consignment store more in my gameplay since seeing how lucrative it has been for you. I’ve always tended to have my creative, artistic Sims also have a regular career to keep enough cash flowing in for the household, but with the profits from the consignment store I can see that they should be able to earn enough money and have a lot more time to work on their craft. Yes, I’m quite glad to have married one of Kristjana’s descendants into the family. Maybe next generation someone will fall for one of Shirin’s! The consigment store is definitely a keeper! I hope you enjoy exploring that feature in your own game. I’m definitely having a nice time setting up the next generation. The apartment is taking ages (six bedrooms is a lot to decorate! ), but it’s very fun. Thanks for letting me know that I can’t have singers in my band that wasn’t something that I knew. Fortunately one of my band members who is a “renowned” singer also plays the guitar…that was just luck. I’m thinking though that if I move her to Bridgeport she will have to start over looking for band members but might have better luck there. 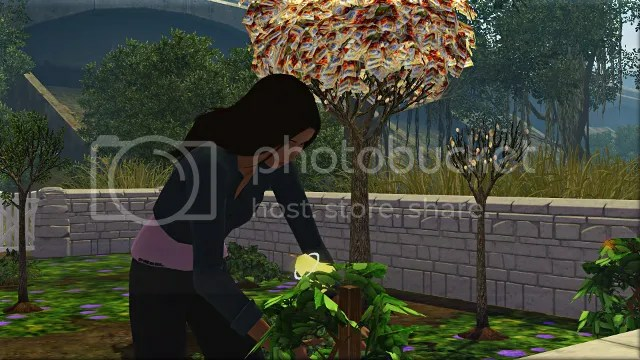 Thanks for responding to my “replies”…I’ve never regretted following you from the Sims 3 to your GCsims!